As the event started, I marveled at the room. Trade wine events are often held in large hotels – but this one had a bit more history than I am used to . The event was extremely well organized – names tags with color codes to understand who you were talking with for example (Importer, Retail or Restaurant ). And it went well for us. 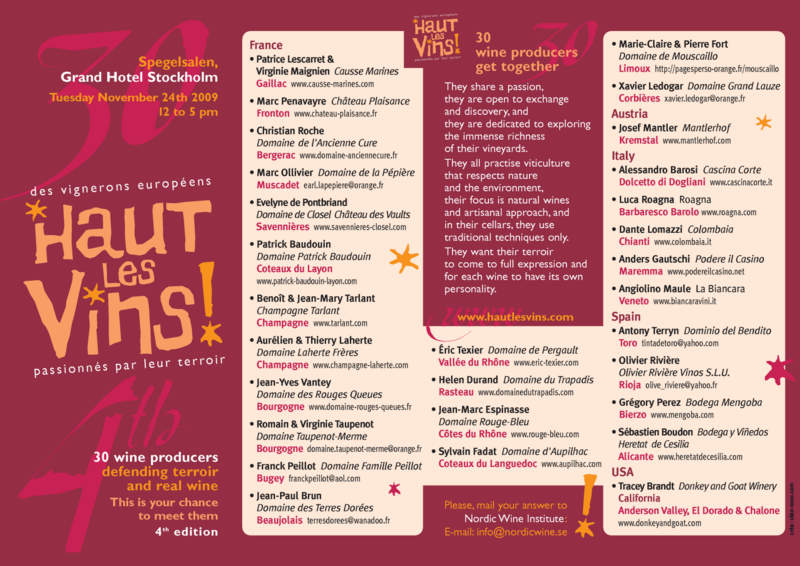 Many people in the trade enjoyed the wines – several restaurants will take the wine as soon as it makes it to Sweden. And, most importantly, I hope to announce a Swedish and Finnish importers soon. I am just learning about taking photos with my new phone – a Droid. So these didn’t turn out great but I think you will get the idea.